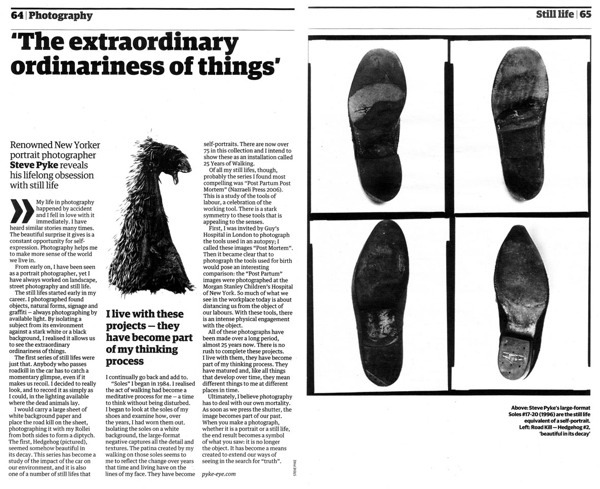 The extraordinary ordinariness of things | Guardian U.K.
"Soles" I began in 1984. I realised the act of walking had become a meditative process for me - a time to think without being disturbed. 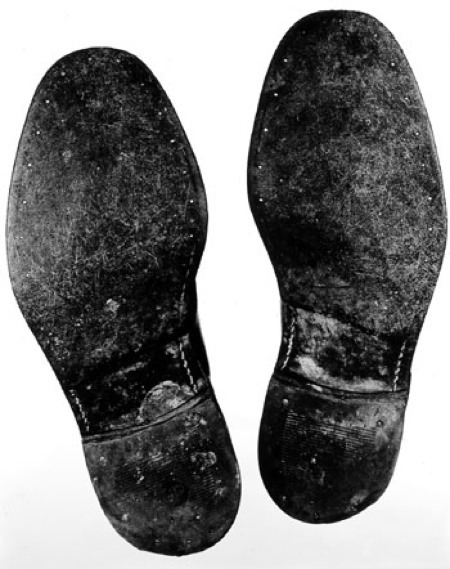 I began to look at the soles of my shoes and examine how, over the years, I had worn them out. Isolating the soles on a white background, the large-format negative captures all the detail and textures. The patina created by my walking on those soles seems to me to reflect the change over years that time and living have on the lines of my face. They have become self-portraits. 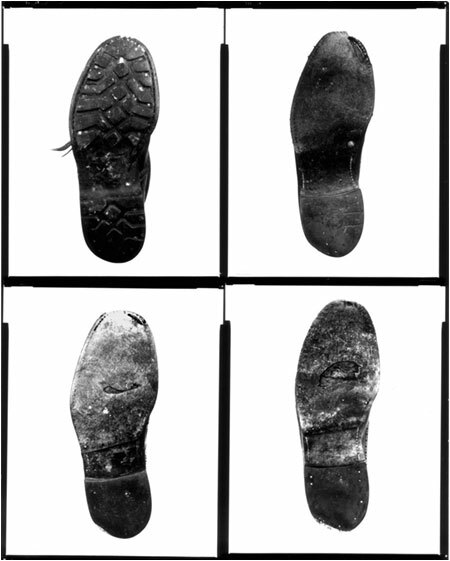 There are now over 75 in this collection and I intend to show these as an installation called 25 Years of Walking. 25 Years Of Walking has been announced quite a few times but it never happened. Come on Steve!